My Simple Divorce Online was founded in 2009. Since we've open our business we have helped over a thousand customers with affordable low cost divorces. 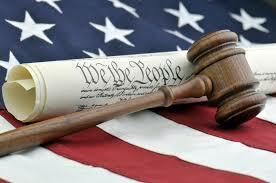 We are one of the few companies that offer "No Court Divorce in Florida" completely online. We have excellent customer service and go the extra mile to save our customers time and money. Headquartered in Miami-Dade County, Florida, My Simple Divorce Online has assisted over a thousand customers throughout Florida. We are a non-attorney, document preparation company that specializes in preparing simple divorces. One of our most popular services offered is our Express, "No Court Divorce", (offered in Miami, Miramar, Fort Lauderdale, West Palm Beach, Fort Myers, Cape Coral, Jacksonville, Melbourne, Orlando, Tampa and throughout the State of Florida). No matter what your situation is we offer the best prices at a fraction of the cost. We bring extensive experience and professionalism to all of our customers. Our Document Preparers have years of experience in preparing court documents for pro-se clients and for attorneys who wish to contract paralegal services when dealing with heavy case loads.